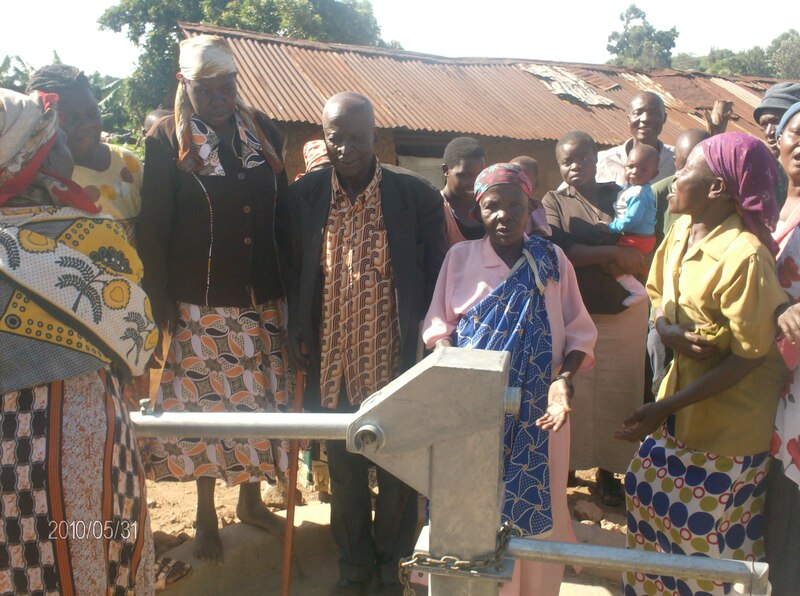 A new well has been completed and handed over to the community living in the Masingo slum near Kakamega Kenya. 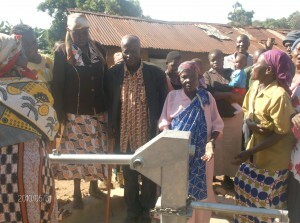 “It was a happy and joyous moment to people of Masingo slum when the Bridge water staff went for a handing over. We were received with their traditional songs like ‘KANO AMAUA KANDATOLA KHUNJIRA’ meaning the flowers I got on my way. On reaching the ceremonial place, happy faces of the aged mothers and fathers together with the young men and women and their children were waiting to hear the good news from us. We had no otherwise but to declare and let them take full maintenance and operation costs of the water system. During the ceremony, everyone from the community wanted to say thank you for what they said was a miracle in their life. A grandmother aged 85 years and who has a swollen stomach for over 10 years said that her stomach was swollen because of drinking water from the sewage. But the interesting part of her story was that for the shortest period she has used the clean water, the swollen stomach is now reducing. 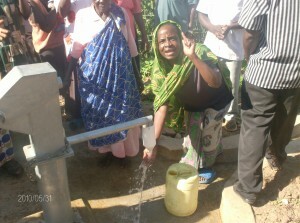 The old mother said that was her golden chance to have clean water since she was born. Another lady said, “Since I begun using the clean water, the problems of itching, stomach ache and severe headache have stopped.